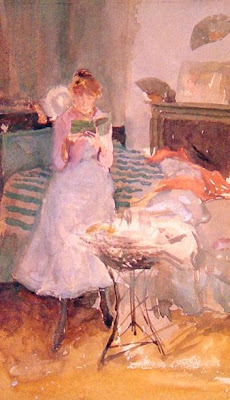 I can relate to this one--unmade bed, good book in hand. I know it must be staged but she really looks like she can't put that book down. I like to think that the painter found this person sitting on the bed reading, and asked her to stay for a while so he could make a sketch.